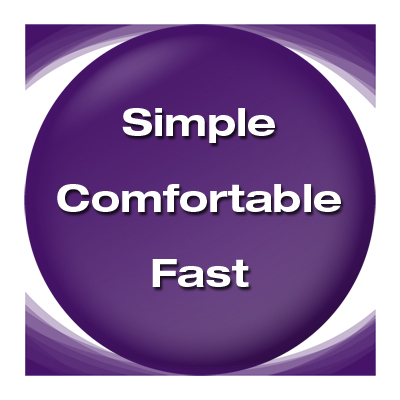 Mync raises efficiency in video production workplaces, making more time for creativity. Materials used in video editing are not limited just to videos taken with digital video cameras. Still images and videos taken by digital SLR cameras, compact digital cameras, smartphones, wearable cameras and similar devices have come to be used. A variety of camera codecs, including XDCAM, P2, XAVC and XF-AVC, are also being used with the video cameras used by professionals. Mync has been included with EDIUS 8 as a new tool that enables centralized management of diverse materials such as these in their native formats. 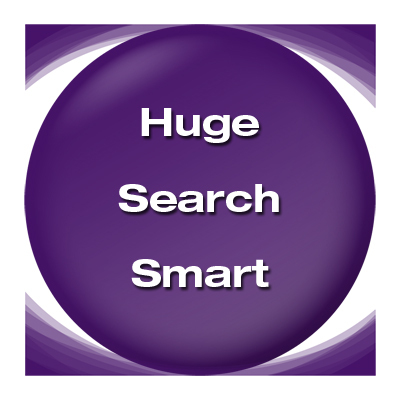 It enables searching for needed materials and previewing them to confirm their contents. While utilizing the powerful playback engine of EDIUS 8, Mync makes it possible to easily and efficiently import, arrange and preview materials. Simple operations can be used to search for files from numerous imported materials. By adding camera names, comments and other metadata to necessary files, narrowing in on files can be made even easier. Mync is linked together with EDIUS 8, so classified catalogs and other information can be shown in the EDIUS 8 source browser. 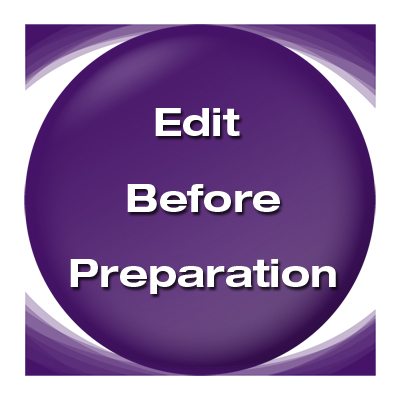 As a result, preparation before editing becomes possible, enabling the creation of faster and more efficient workflows. As a new tool, Mync is not simply a material management browser that is independent from EDIUS 8. We intend to listen to opinions from production workplaces and keep enhancing its features in the future. Previously, if you thought, “I want to import recorded materials to hard disks during breaks in filming and focus on their management,” or “I want to safely copy materials from multiple cameras and preview them immediately while maintaining import histories,” you could not import the materials without launching EDIUS and creating a project. Mync is an application that can be launched independently on the same computer using the EDIUS 8 license. Using Mync, importing and arranging materials in advance without launching EDIUS has become possible. 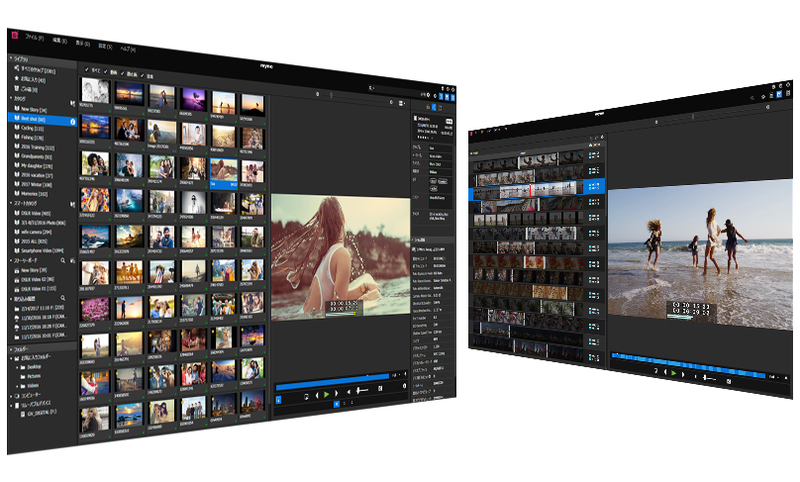 Mync can handle not only video files, but also still image and music files in their native formats. The work of finding and selecting necessary files from huge amounts of source data takes a very long time. Rapidly finding the materials you want from an organized archive that includes not only local disks but also multiple external hard disks had been difficult using just the EDIUS source browser. You probably found yourself frequently leaving EDIUS and utilizing the functions of Windows Explorer. Mync does not just classify important material files as “videos,” “still images” and “music.” It can also rapidly classify materials by data contained within the files, including frame sizes, frame rates, tags and evaluations. Combinations of these are recorded in a “smart catalog” and can be reused with EDIUS, for example. If you are someone who has handled digital photo editing software, we expect that you know that still image files contain metadata including size, color space, color profile and location taken. Video files can also handle the same kinds of metadata. Mync can add tag information as metadata to source files. Narrowing down files quickly with just date, time, manufacturer name and camera model is difficult. Make your materials easy to find by adding notes about the image subject, adding the name of the cameraperson who took the image and other tag information as you like. Finding the materials you need later can be made easier by adding metadata. For example, you can evaluate multiple takes captured at the same time using the numbers of stars (★) to identify the good and best ones. You can also add camera number tags when materials have been captured by multiple cameras and add items to “Favorites” by clicking the stars (★) at the top left of their thumbnails. Furthermore, with files that contain location information, you can click the map icon in the properties pane to check where the file was taken in Google maps. Since you can preview sources as you organize them in Mync, the greater the number of source files, the more you will experience its advantages. You will not have the hassle of opening preview windows one at a time to check materials anymore. After you finish organizing the various source files and selecting the ones you need, you will be ready to start editing work. As previously stated, Mync uses the EDIUS engine. Launch EDIUS and check materials in the source browser. 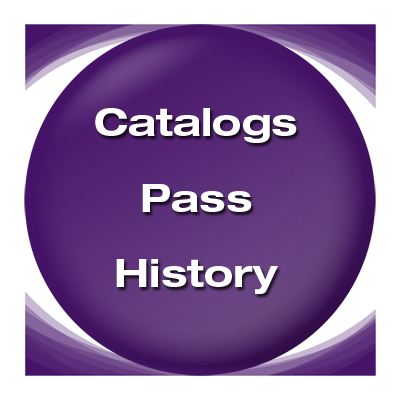 Catalog information organized in Mync can be re-created without change in EDIUS. There is no more need to load large amounts of data and search for the materials you need in EDIUS. You can use the materials organized in Mync to get started editing right away. Source files added to and organized in Mync will be shown in the EDIUS source browser. By right-clicking items in the source browser and selecting “Open in Mync,” you can also show them in Mync. Along with this direct integration, you can also output catalogs created in Mync as XML files. First, create a catalog that includes the necessary materials. As the number of files increases, finding the files you need becomes burdensome. Use smart catalogs to search by tag, rating and other refinements. If sources have been loaded from camera recording media or USB flash drives, they will be recorded in “Imported Histories,” which you can also use to search for them. After creating a catalog, output an XML file. In Mync, you can choose “Export XML” to export just an XML file or “Export XML and source files” to create an XML file after copying all the materials in the catalog to one location. 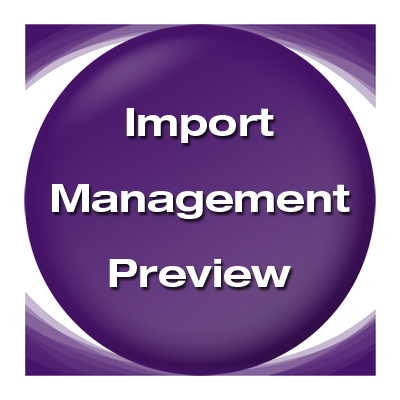 By selecting “Import Project” > “FCP XML” in EDIUS and loading an XML file generated this way, the catalog can be directly imported into the bin window inside the EDIUS project. Managing materials and linking with EDIUS are not the only roles that Mync fulfills. It can manage works edited and completed in EDIUS and upload them to sites. The “Share” item in the “Settings” menu already includes YouTube Uploader and Vimeo Uploader settings that support multiple accounts. 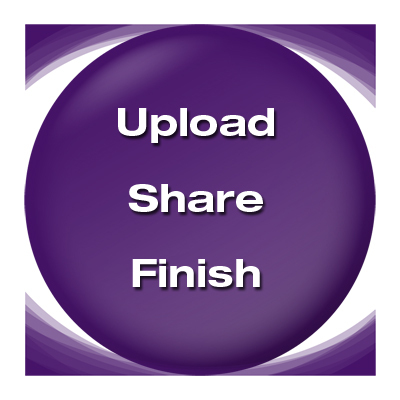 Use them to upload works to the YouTube and Vimeo video sharing sites. By inputting information for each account, you can easily post and publicly share works. In addition to YouTube and Vimeo, an “FTP Uploader” option is also ready. With it you can upload designated files to websites that support transfer using FTP connections.